Bitcoin is big money. When Mt. 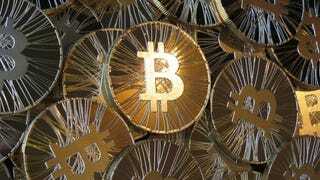 Gox went belly up, hundreds of millions in bitcoin up and disappeared. Now, the troubled exchange just happens to have stumbled into 200,000 'coin it thought was lost, or roughly 116 million dollars. According to documents from Mt. Gox Chief Executive Officer Mark Karpeles and cited by the Wall Street Journal, on March 7th the exchange came across the crazy cache (199,999.99 bitcoins to be exact) in an old bitcoin wallet, thought to be empty and out of use. NOPE! And that digital cash is worth over a hundred million at current rates of ~$600 per coin.